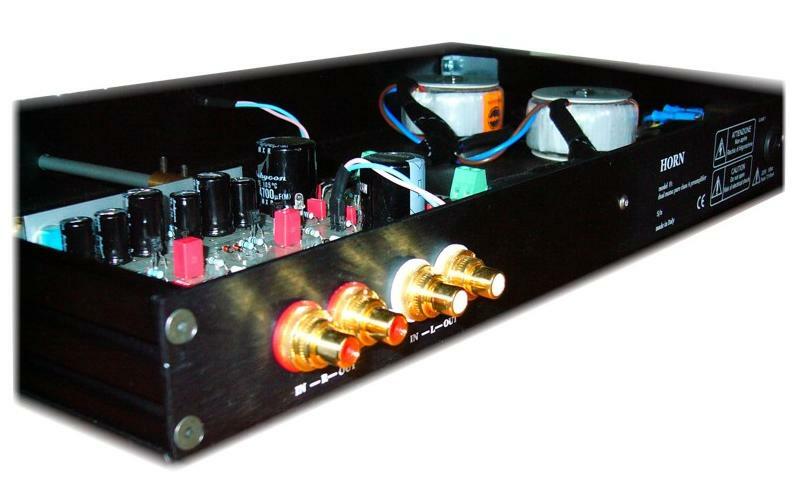 The preamplifier F1 is the interface unit between digital source and the power stage. A special feature of the F1 is a dual mono configuration that allows complete independence of the channels. Particular care has been taken in the design of power supply section so as to minimize the harmonic content of voltage supplying the preamplifier. F1 is born with the aim of achieving a high quality audio playback. The control of the dynamics of the input signal is takes through two independent sections. It has a single stage, composed of unipolar devices (ultra low noise FET) and bipolar transitors. The particular circuitry ensures high stability of the working point of these devices so as to make it insensitive to drift of the current respect to temperature drifting and the dispersion of the characteristics. It was placed in care in selecting and sizing of the transistors of the output stage so that the very low output impedance and its insensitive in changing over the entire audio range, ensuring high driving capability and speed. 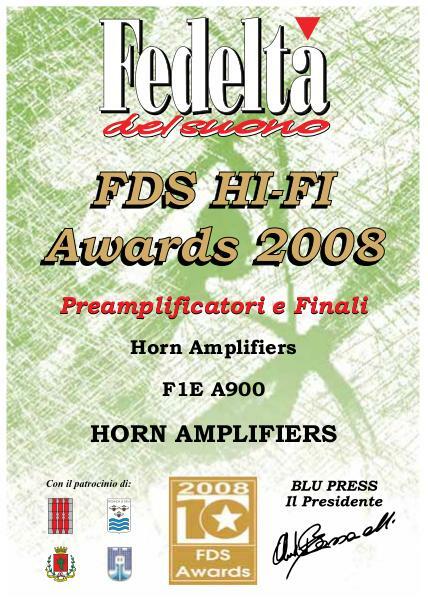 Basically F1 is a machine for playing high-performance audio, guaranteeing a superb linearity.